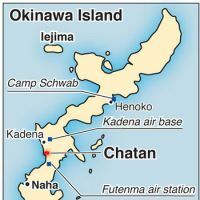 In the late 1960s, the U.S. military buried dozens of barrels of the toxic defoliant Agent Orange in an area around the town of Chatan on Okinawa Island, an American veteran has told The Japan Times. 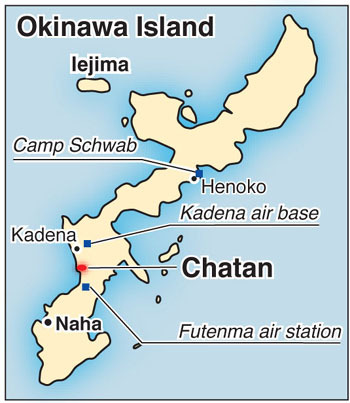 The former serviceman’s claim comes only days after Foreign Minister Takeaki Matsumoto said that he would ask the U.S. Department of Defense to come clean on its use of the chemical on the island during its 27-year occupation of Okinawa between 1945 and 1972. The U.S. government has repeatedly maintained that it has no records pertaining to the use of Agent Orange in Okinawa. The veteran’s allegation is likely to cause considerable concern in Okinawa, as Agent Orange contains highly carcinogenic dioxin that can remain in the soil and water for decades. The area where the veteran claims the barrels were buried is near a popular tourist and housing area. Since his exposure to the defoliant’s dioxin during the salvage operation, the veteran has suffered serious illnesses, including strokes and chloracne. The U.S. Department of Veterans Affairs (VA) — which handles compensation for ailing service members — pays the former soldier more than $1,000 a month in medical fees related to Agent Orange exposure. But the VA claims he was exposed to dioxin during the six-month period that he was stationed in Vietnam. Under the Agent Orange Act passed by the U.S. Congress in 1991, all American veterans who spent time in Vietnam are assumed to have come into contact with the defoliant — making them eligible for health benefits and compensation. But due to the Pentagon’s repeated denials that Agent Orange was ever stored in Okinawa, it does not pay these benefits to U.S. veterans who claim dioxin-exposure on the island. The veteran said he is aware of the risk of discussing the issue — especially given the sensitivity of current Japan-U.S. relations over Okinawa, where negotiations are currently under way to realign U.S. forces stationed there. “I worry if I go public with my name on this, they’ll take away my benefits,” he said. In 2002, the prefectural government uncovered a large number of unidentified barrels in the Chatan area near the location where the veteran claims he witnessed the trench being dug. According to a source close to the Chatan municipal office, after the barrels were uncovered, they were quickly seized by the Naha-based Okinawa Defense Bureau, which is under what is now the Defense Ministry. “I asked the Chatan town base affairs division if they had a report from the defense bureau. They said no. The town still does not know what the substance was, how the barrels were treated or if the bureau conducted an analysis of the substance,” the source said. 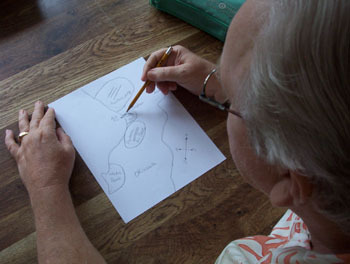 The accounts of these 12 veterans suggest the wide-scale use of Agent Orange on the island during the Vietnam War. They say the defoliant was used and stored in massive quantities from the northern Yambaru district to Naha port in the south. The defoliant’s carcinogenic properties were not fully revealed until the mid-1980s. Okinawans expressed concern over the issue. 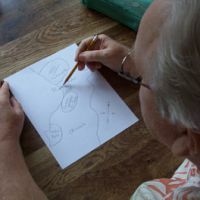 A retired teacher whose school was located near one of the nine bases where Agent Orange had been sprayed recently explained how several of her students had died of leukemia — one of the diseases listed by the U.S. government as caused by exposure to dioxin. 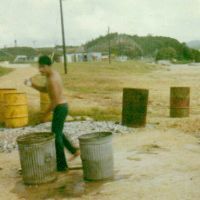 Yoshitami Oshiro, a member of the Nago Municipal Assembly, called for an investigation into the claims of Parton, the former marine, that he had seen large numbers of barrels at Camp Schwab — which is in Nago. This is not the first time the U.S. military has been accused of disposing toxic waste this way. In 2005, Fort Mainwright, Alaska, made headlines after construction workers discovered tons of PCB-contaminated earth beneath a planned housing unit. 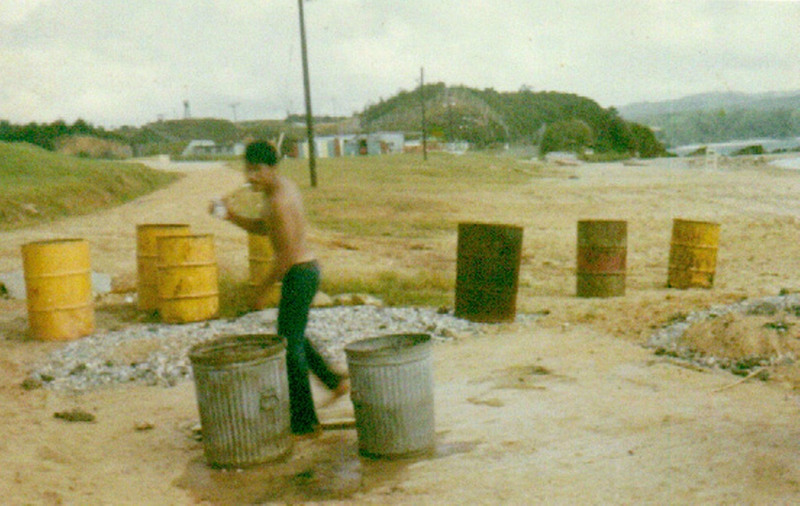 In May, three U.S. veterans claimed they helped bury barrels of Agent Orange on Camp Carroll in South Korea in 1978. The Pentagon is currently investigating this assertion. Kaori Sunagawa, an expert in environmental law at Okinawa International University, expressed her concern about possible contamination by Agent Orange. “Okinawan people need to know the truth about this issue. The government has to conduct research to see if the contamination has spread. We need to know if there is still a risk to human health and the environment,” she said.